So, say Superman flew down right into the White House, kidnapped the president, and took off? If that happened, who would have been able to stop him? 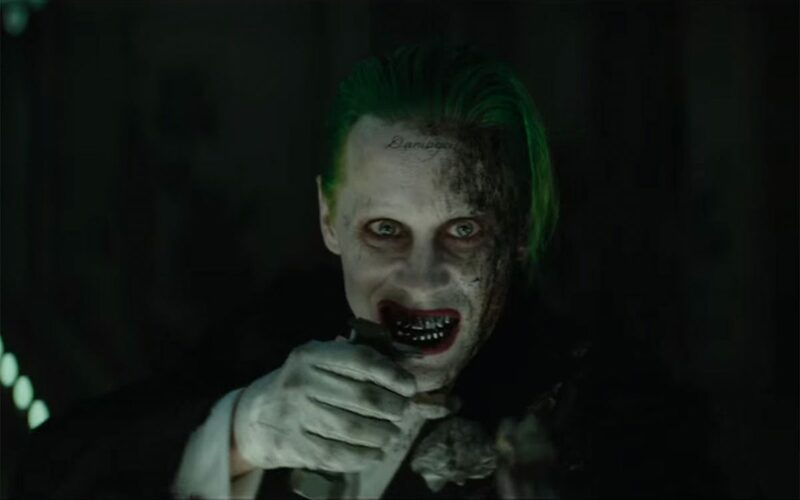 That is the million dollar question posited in what looks like a private meeting in the new Suicide Squad trailer. The answer? The Suicide Squad! According to Amanda Waller, this squad would consist of some very bad individuals who she believes can do some good. That is how this ragtag group of super-villains/criminals come together and start the premise for Suicide Squad. The tone and vibe this trailer and the past one gives off seem to be more vibrant and fun compared to Man of Steel and Batman v Superman. Those films were definitely more gloomy. Even the song choices in this new trailer help to further the notion that Suicide Squad will be more pleasant, with a rendition of “You Don’t Own Me” sung by Grace feat. G-Eazy followed up by “The Ballroom Blitz” by Sweet playing in the background. The placement of these songs in this trailer feels very much like Queen’s “Bohemian Rhapsody” in the last trailer. It gives off the notion that there’s more humor and light-heartedness present, not to say there aren’t any dark undertones present. We’ll have to wait and see. Tone and vibe aside, we also get slightly more story details as to what’s going on in Suicide Squad. This trailer seems to add more to what the basis of the movie is by explaining how this group operates. As mentioned above this is a group of criminals forced to come together by the government to help take on threats the government is dealing with. With each having their own ideal skill sets, they all bring something to the table in dealing with various threats the government seems to be facing. To keep them in check, the military has Rick Flagg overseeing them. In explaining what was mentioned before about disobedience and annoyances leading to death: it’s not explained in the trailer, but having seen a variation of the Suicide Squad on Arrow on the CW and reading a little into how they were represented in the comics, it looks like each member of the Suicide Squad will be getting an injection into them, which is probably a miniature bomb. This isn’t proven, but it looks to be the most likely case. If that is so, then this is the government’s fail-safe to making sure they stay in line with what they want them to do. If they break any of Rick’s rules that bomb is there to kill them. The bomb aside, the group is also designed to have built-in plausible deniability. If anything goes south Amanda Waller knows she can flip this whole situation on this group and fabricate a story that implicates this group in whatever failures may await ahead, given these are all high profile criminals that make up this group. I’d say the only people who might be the exception are Katana and Enchantress. Based on certain footage in this trailer and the last it would seem Katana and Enchantress seem to be more alongside Rick. Katana definitely seems to be helping to enforce Rick’s leadership amongst this group, hence the scene where she put hers sword to Captain Boomerang’s throat. Plus I don’t see any footage of either where it looks like they’re locked up or in some sort of prison containment. That’s the story we have so far. All the other footage showcased shows and promises us lots of action and cool fight scenes. Two last things to mention are the two individuals we get to see more footage of: Joker and Batman. This new trailer premiered some new scenes with the Joker, where some new dialogue is heard and a scene where half his face looks marred. That I’m sure presents its own theories among those eager to see this film. The only definitive factor I can draw about the Joker is that it seems he’s the bad guy the Suicide Squad will be going after. At least that looks to be the way the story plays out. We also see more Batman footage, which is exciting because we heard very early on Batman would be in this film. There’s a mixture of him flying, driving the Batmobile, and carrying someone who looks like Harley Quinn. What context these action scenes are in is debatable. Well that’s all this trailer has to offer. If we want to see more footage we’ll either have to wait for one more trailer or for the film to come out. Suicide Squad comes out on August 5, 2016. If you’d like to read our reaction to the 1st Suicide Squad trailer click here. 3 years ago	Latest Movie Trailersbatman, DC, Harley Quinn, Joker, Rick Flagg, suicide squad, warner bros.